Europe is one of the best destinations to visit in fall – London looks stunning in autumnal shades, Paris becomes a fall wonderland and popular destinations in Greece, Italy and Croatia become much cheaper and less busy (so what’s not to love?). 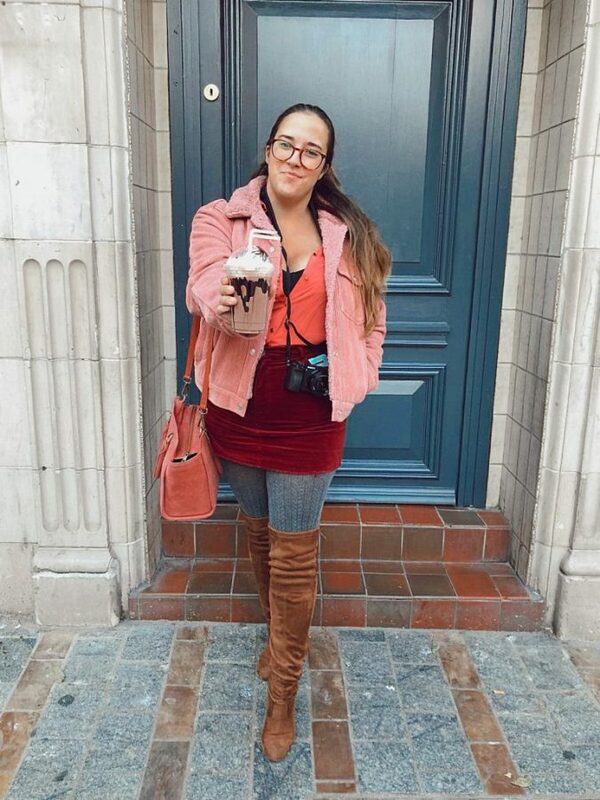 I love the different styles in Europe, Parisians always look so chic, German fashion bloggers really know how to rock a cute sweater and check out Russian influencers for great style even in really cold weather! For me, Europe in fall is all about cosy knits, structured boots and big scarves – it’ll keep you warm, it’s comfortable and it’s stylish. 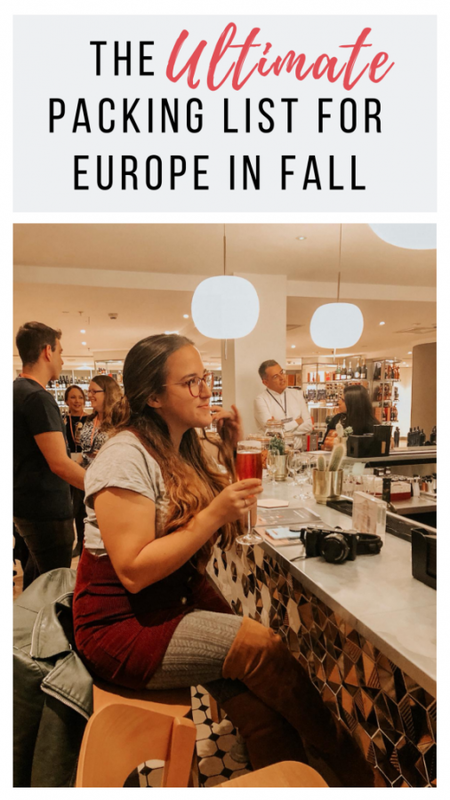 Read on to see everything in my packing list for Europe in fall! Autumn (as we say in the UK) is one of my favourite months for travelling. 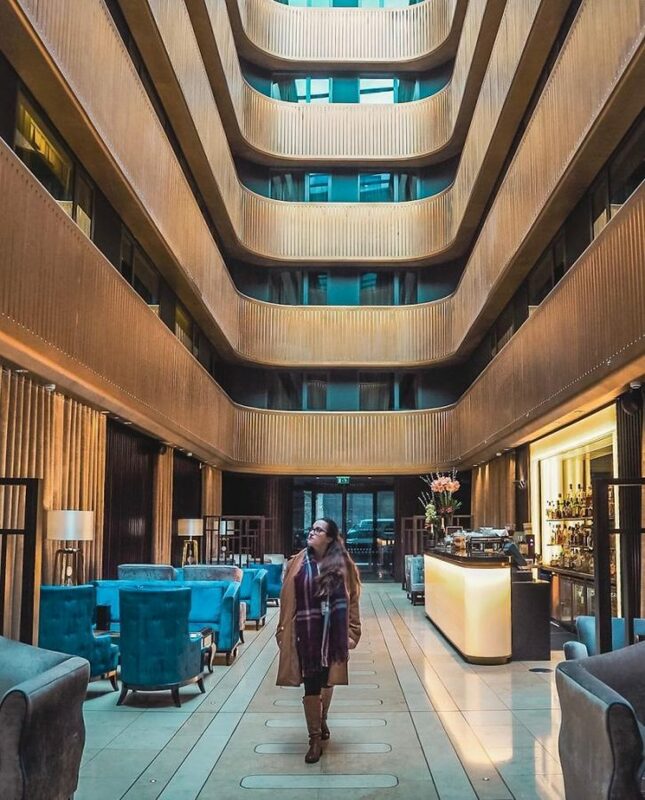 It’s shoulder season in a lot of places so it’s often way cheaper to stay in a fancy hotel (or just cheaper in general if you’re thinking of places like Dubrovnik or Santorini) and destinations are usually a lot less busy than in the hot summer months. 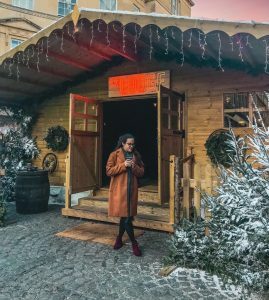 Plus the end of fall is the start of all the Christmas markets, definitely one of my favourite times to explore European cities! So, on to what you should pack for Europe in fall! 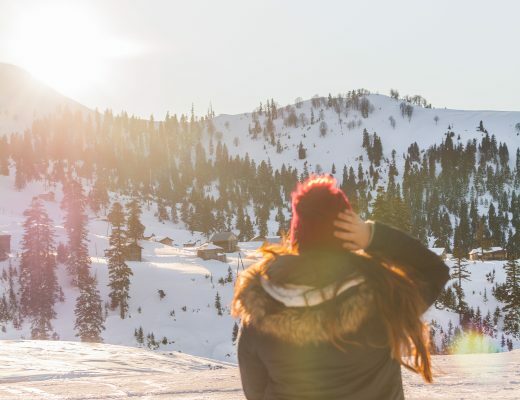 A quick note that not everywhere in Europe will be the same temperature during fall – for example, Nordic countries like Iceland and Norway will be pretty chilly while southern destinations like Italy and Spain will be less cold and you’ll need fewer layers if you’re visiting! Layers are going to occur often in this packing list for Europe in fall since we often get pretty changeable weather as well and you don’t want to be wearing a super thick jumper when it’s starting to warm up (or when you’re on the tube in London, since it seems to be inexplicably warm all the time… somehow). When I’m packing for Europe in the fall, my main staples are all items that can be layered and generally mixed together to create a whole bunch of different outfits. 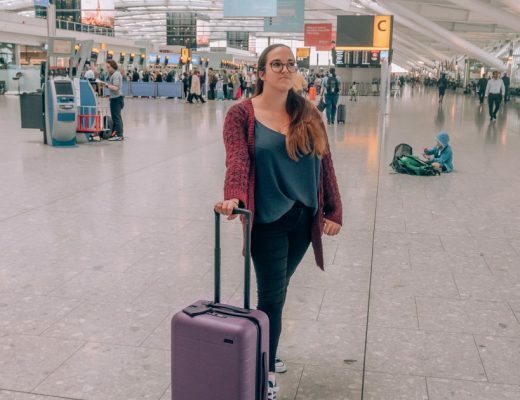 Since I generally travel with hand luggage only (take a look at my carry-on essentials here!) I want to be able to still pack light while having a host of different outfits to play with. 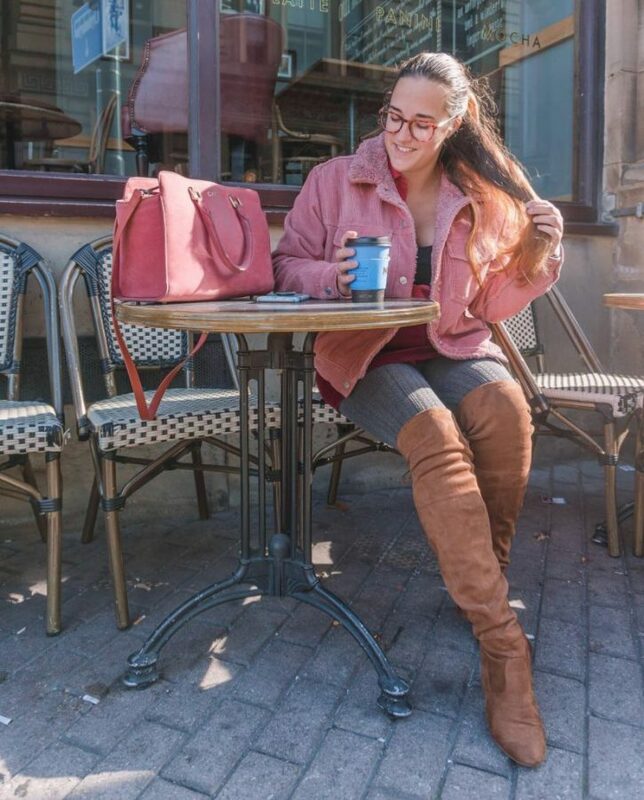 My go-to layered outfits include an undershirt (usually a strappy tank top), a button-down shirt, a sweater or a cardigan, a light jacket, a heavier jacket (usually a waterproof), a pair of cute boots and either jeans or a skirt with tights. My top choices for jeans currently are this pair of Lift & Shape jeans from New Look or these high-waisted ripped skinny jeans. My main love this autumn is a pinafore dress – I’m pretty sure I want to buy one in every store I go in! My current go-to is this burgundy corduroy one, I love the big pockets. If it’s a bit chilly then pair with cable knit tights and don’t forget a comfy t-shirt or sweater to wear under the pinafore. I usually opt for a white or grey basic tee or a collared shirt. Plus a pinafore or overall dress is perfect for going out in the evening if you want to look a little less casual! Shop my favourite pinafore dress from this photo! 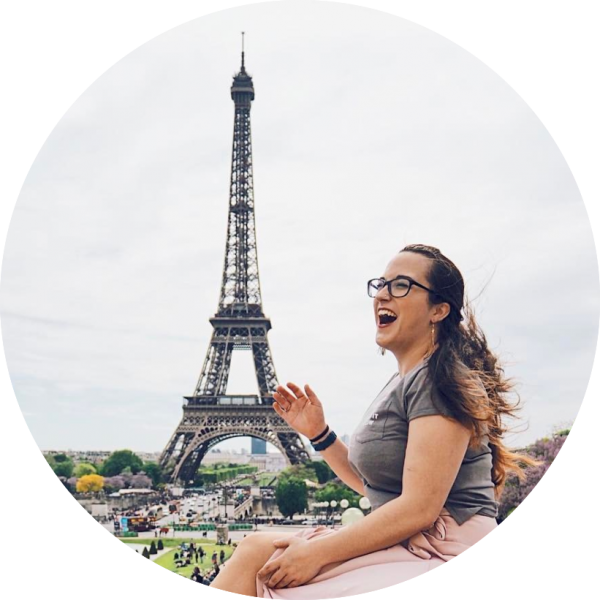 When wondering what to pack for Europe in fall you’re probably curious about how many sweaters to pack and what sort of jackets and coats you might need when on the continent. I love a good, cosy sweater. Seriously. 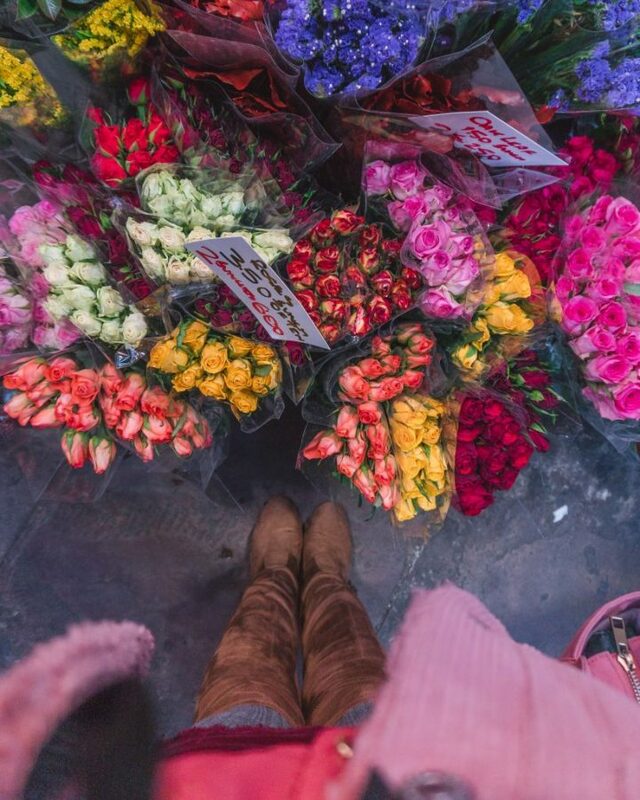 They’re the best part of a fall outfit, am I right?! 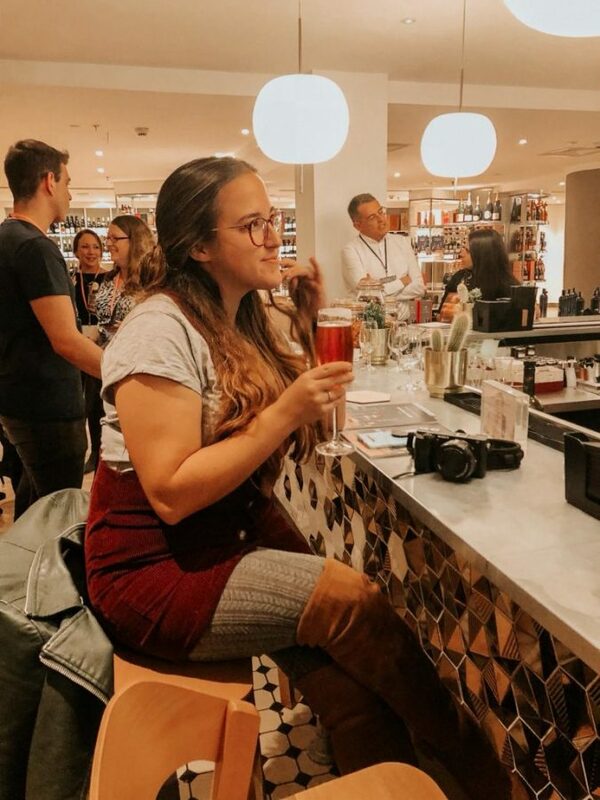 I love pairing a skirt and tights with a cute cropped sweater or a slogan sweater for a casual yet put together look, or a long-form cardigan (always with pockets) over a t-shirt and jeans. When it gets chillier (or I’m going somewhere in Scandinavia) the woolly jumpers tend to come out – they look really cute over a collared shirt or in a statement fall colour (like this burgundy chenille sweater or this rust cable knit turtleneck that I just want to live in the entire season). I’ve gotten really into jackets this year. When I say jackets, I mean this specific borg-lined corduroy jacket that I’m planning on buying in every single colour it’s sold in. IT’S SO WARM AND COSY. Don’t judge me. 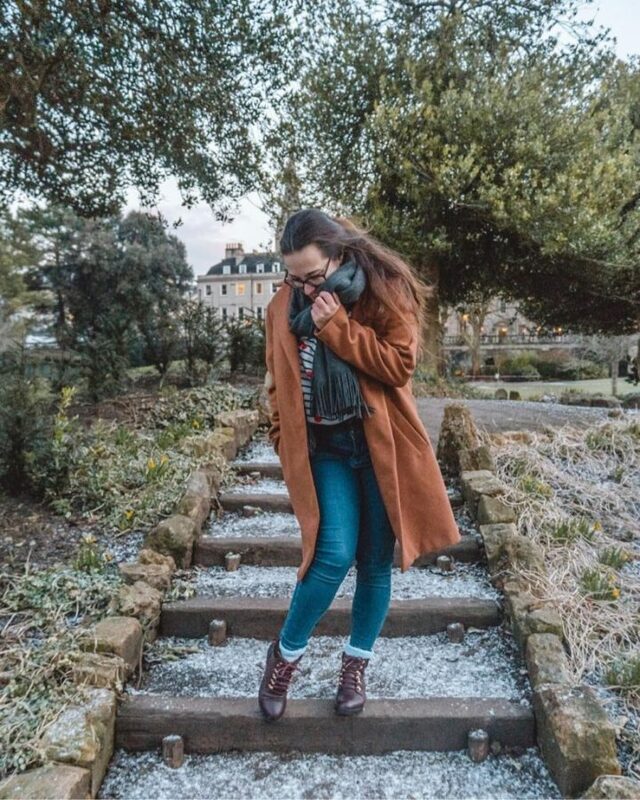 When I’m not living in this specific jacket, I love a classic trench coat (this one even has a hood – perfect since it rains a lot) or – if I’m going for a slightly edgy look – a faux leather jacket. When I’m travelling in Europe at the tail end of fall, I generally opt for slightly heavier jackets, such as this navy padded puffer jacket. Generally, you should have either a coat with a hood or a good umbrella, fall is a pretty rainy season around Europe. I love accessories. They are perfect for layering as they can change up an entire outfit just by varying the accessories you’re wearing (plus your shoes, which I’ll talk about in the next section!). 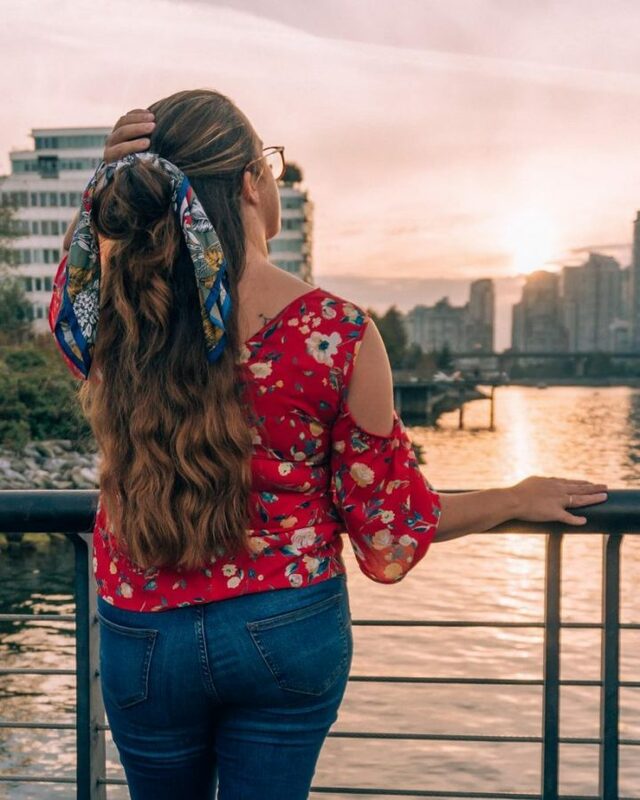 My current favourite accessory is a cute hair scarf, which I like to tie around a top knot or a bun or, if I’m not wearing it in my hair, around the strap of my bag or even around my wrist. 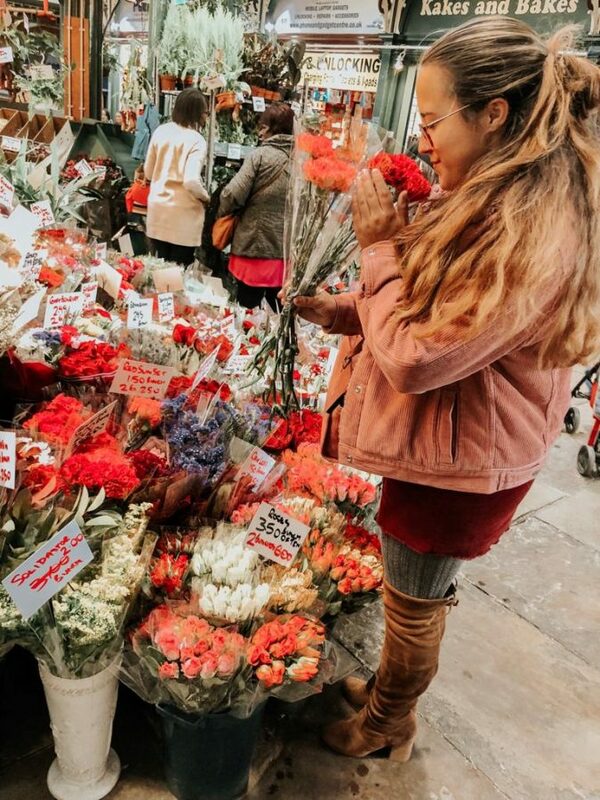 There are so many pretty options available and they instantly jazz up a hairdo (which is great since my go-to hairstyle is a messy top knot bun that I do in about five seconds). Don’t forget to add a scarf to your packing list for Europe in fall – whether it’s chilly in the evenings and you want to wrap up or you just want to use it as a pillow on the plane, it’s a great accessory to have on hand (on neck?). Accessories are great for dressing up a look for the evening as well, just add a nice pair of earrings or a stylish necklace and you’re good to go and a bold fall lip colour is always a good choice too! Obviously, you’re going to need a bag while you’re gallivanting around Europe in the fall and my favourite is the limited edition Camille bag from GATTA. If you’re looking for a smaller crossbody bag then I would definitely recommend the autumnal Lola Miel camera bag. Don’t forget – you can get $20 off your GATTA Bag purchase with code PENELOPE20! My favourite section! I love shoes. They’re just great. They can change up an entire outfit! I love a pair of suede over the knee boots and they’re perfect for really amping up the volume on an outfit. If I want some slightly more casual boots then I’ll opt for a pair of tan knee-high boots or some black ankle boots. If it’s colder (or raining) or I think it might be a bit icy then I love a pair of lace-up combat boots or some sturdy waterproof boots. When I’m not feeling boots, I’m generally a sneaker kinda girl. They’re perfect for walking all around a city! I have one standard pair of sneakers and they pretty much go with anything – I’m going to have to get a new pair soon since they’re almost worn out from how much I’ve been using them lately! 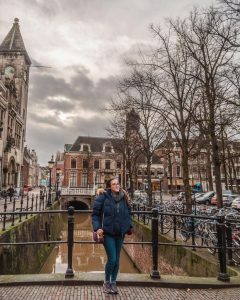 I hope this packing guide helps you on your next fall trip to Europe! 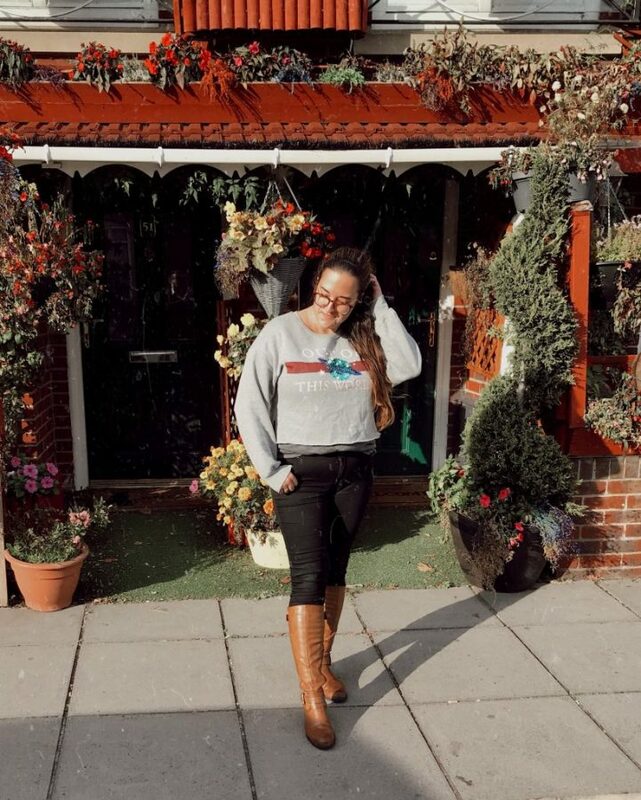 I love to be stylish yet comfortable and this list is perfect for packing light – I often travel only with hand luggage and you can actually fit this capsule wardrobe in a carry-on! Would you add anything to your fall packing list for Europe?